Under our ‘Honours’ and ‘Stories 1′ (Rabbit Skins) pages we make reference to Albert Wilson, who at the end of the World War I married Jeannie Vangraschepe, the daughter of a police Inspector whom we had always understood to be of Belgian origin. 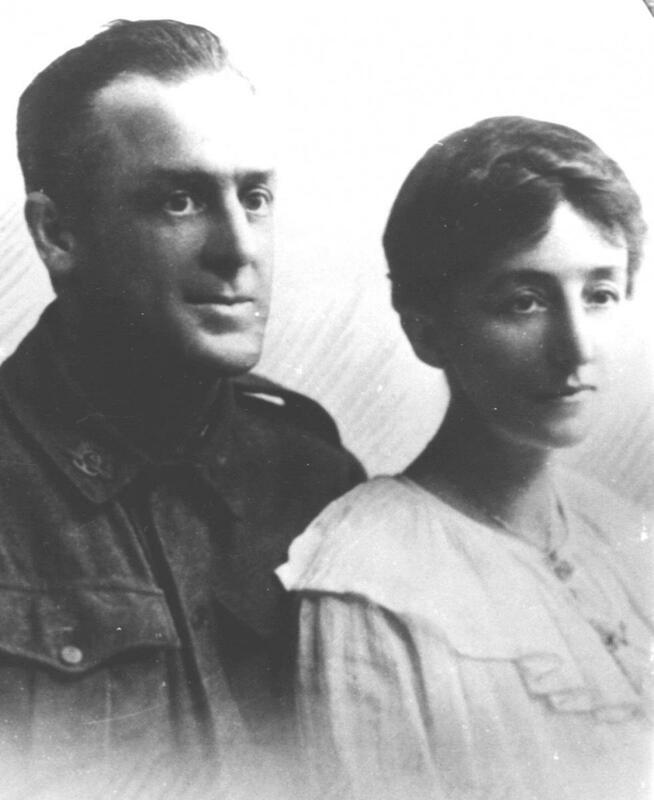 Until 2006 our knowledge of the Vangraschepes was confined to Bert’s having married Jeanne in London at the end of the War, presumably having met her there or somewhere in Europe whilst on active service, returning with her to Australia and settling down to family life in Frankston, Victoria. Contact in 2006 with a young Frenchman, Romain Quesnel, who was engaged in family research confirmed that Jeannie and her family were French rather than Belgian, that Albert and Jeannie met in Rouen where Jeannie and her family lived, and where Albert was assigned on active duty. Albert was a Medic variously attached to the 6th and 10th Field Ambulance units of the 3rd Army Brigade, AIF. The Vangraschepe family originally came from the north of France, from the Flanders region quite close to Belgium, indeed Romain confirms the name is Flemish in origin rather than French, and Jeanne’s father was born in the small village of Saint-Sylvestre-Cappel, which is within 6 km of the Belgian border. Many of our Wilson family and their parents who knew Jeannie, remember and think of her as a very pretty, gentle and refined lady who spoke English with a pronounced but very attractive French accent. The photograph is believed to have been taken on the occasion of their marriage ceremony in London in August 1919. Many have commented on the apparent sadness in the eyes of both Bert and Jeanne, surprising on their occasion of marriage. We now know from Romain’s and our own research that both had experienced extremely difficult prior years, Bert in the trauma of his front line war duties and Jeanne in her French family relationships. We also now have a great deal of information from Romain about Jeanne’s Vangraschepe family as it was in France: out of respect for people who were close to Jeanne both in France and Australia it is not yet timely for us to post all of the information we have gathered at this time – no doubt the time will come when it may be made more public, or at least within more immediate family in Australia. Romain and his sister Auralie are show below. The Image Gallery shows several other images recording the meeting for the first time of the Australian and French cousins in Rouen. The ‘Cousiene Australienne’ image records Romain with Terri Baker his Australian cousin – Terri was the first of the Australian cousins to meet with the French cousins spending several enjoyable days with Romain and his sister Aurelie in and around Paris.Terri and Romain could easily pass for brother and sister. Terri’s parents visited a year or so later. Below we see a number of ‘our’ French cousins (2nd/3rd level) with whom Jeanne’s descendants in Australia have visited in recent years. Romain and Aurelie’s mother Christiane appears in some of them. 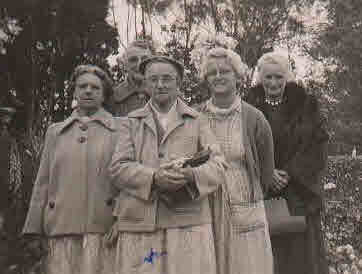 The black and white image shows Jeanne probably in her mid sixties with a group of Australian friends – it is interesting that Jeannie wears a beret; retaining still an element of the French culture it seems.